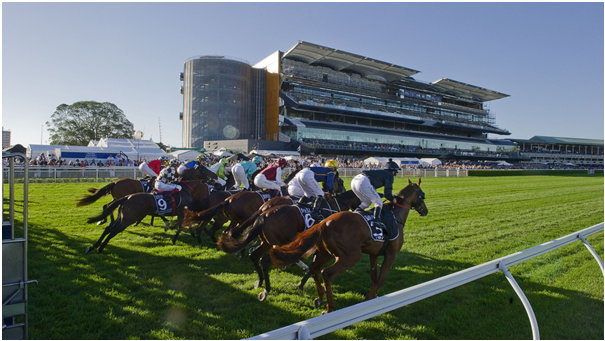 Do you know that Australia has world famous racing tracks and also large number of racing tracks than any other country. 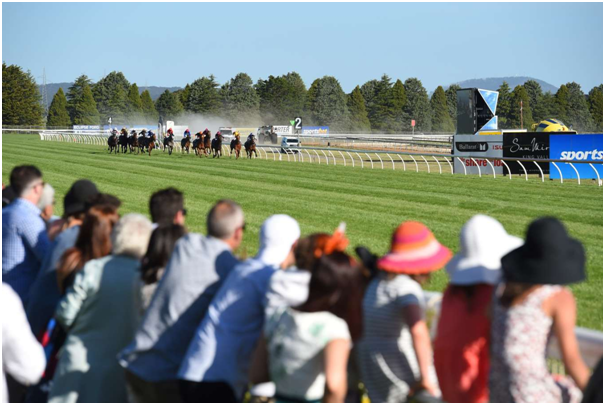 The famous ones are the metropolitan tracks in Melbourne, Sydney and Brisbane, or the country tracks such as Ballarat, Scone and Rockhampton, where spectators throng in huge numbers to enjoy horse races. Also not that these tracks are used once but with each event and hundreds of races these tracks are used number of times like the major metro tracks are used primarily on Saturday’s, with the secondary-level tracks used on Wednesday’s. This typical schedule can change drastically during a carnival, when the same track can be used up to four times over the course of a week. Any horse racing punter can place their bets on these races on any day of the week even at online sports bookmakers that offer tote and fixed odds betting on all tracks like the sportsbet.com.au or the crownbet.com.au that offer bet on every meeting. 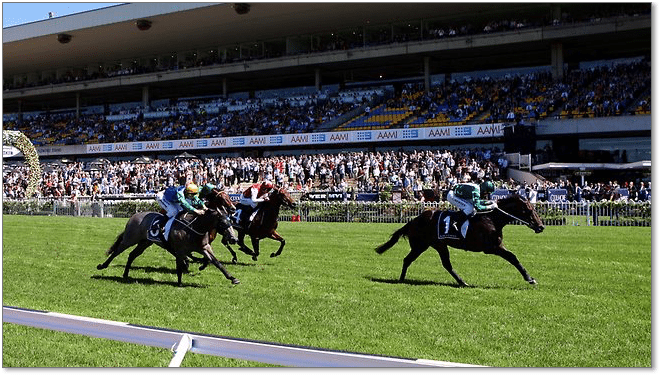 Here are the ten such popular Australian thoroughbred racing tracks which are considered the best tracks in the world. 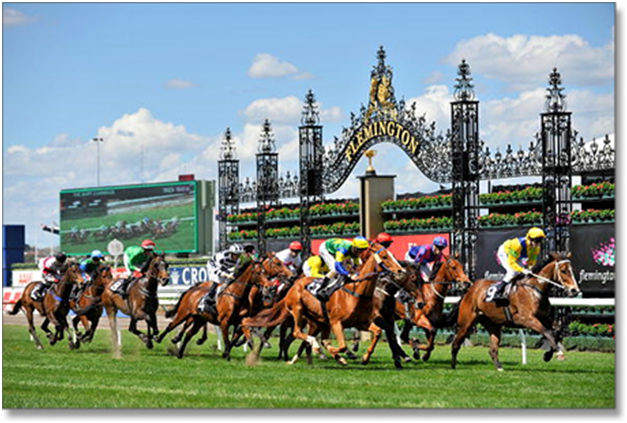 Flemington is considered Australia’s best racing surface and plays host to some of the biggest races around the world. This race track has become a major target for punters because of fair track to bet on. 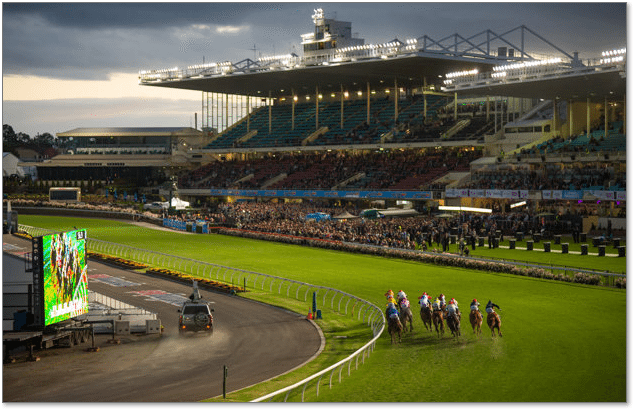 It is the venue for the Melbourne Spring carnival and in particular the Melbourne Cup. One of the biggest races on the world racing calendar, the Melbourne Cup holds the biggest prize in Australia and the Flemington track provides a nice surface for not only Australian runners, but also the European and Japanese imports. With a 1200-metre extended straight, Flemington is the only track in Australia where punters will get to see a straight race. These races are a common attraction throughout the major carnivals at Flemington and they even attract overseas sprinters which are used to running down the straight. Note that this track is located in Melbourne in Victoria Australia. Caulfield is another popular track in Melbourne and also provides a fair running surface . 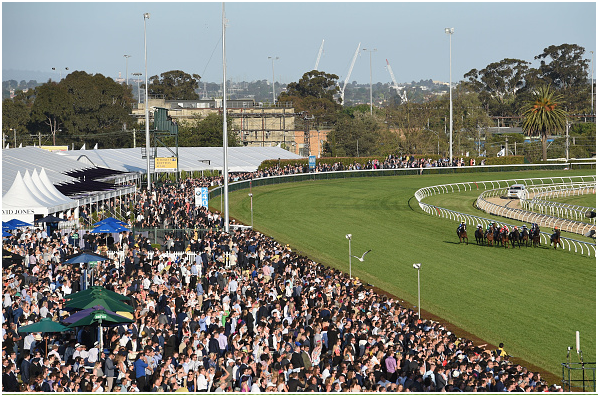 It is home to the Caulfield Cup which is one of Australia’s most important races. Run over 2400 metres, the Caulfield Cup is a key lead-in race to the Melbourne Cup and it also attracts plenty of overseas interest. The best barrier draw to jump from in the Caulfield Cup is barrier 1 and 3, which has won the Cup on five occasions each. Caulfield also hosts the Blue Diamond series and other group 1’s such as the Caulfield Guineas and 1000 Guineas for the fillies. Moonee Valley is an amphitheatre for Australian racing and being on track is a great experience. They have a great bookmaker ring and the track side lawn makes viewing the races an enjoyable experience. During the summer months, Moonee Valley is primarily used as a night racing venue. Night racing is common practice in Australia throughout summer on Friday nights and punters love it. Royal Randwick is a right-handed track and is considered to be Sydney’s highest quality surface which will host the Melbourne cup this year 2018. It now hosts The Championships every April over a two-week period and there is some serious prize money on offer. Bookmakers open betting for The Championships early in the new year and there have been record numbers bet on the carnival since its inclusion into Australian racing. The biggest race throughout the carnival is the $4 million Queen Elizabeth and over the past few years it has seen an influx of international runners. Punters get to see the very best Australian jockeys who are based in Sydney. These include Hugh Bowman, Blake Shinn and James McDonald who rides for global racing icon Godolphin. Rosehill Gardens is the second major racecourse in Sydney and it features a total of 10 Group 1 races over the course of a year. The Golden Slipper for the two-year-olds holds the highest stake for any juvenile race around the world and it is the feature race of the year. Run over the sprint distance of 1200 metres, the Golden Slipper is one of the most sought-after races in Australia and it has a long list of champion winners. In the past it has been won by the likes of Miss Finland, Sebring, Sepoy, Pierro and Vancouver. It is such a big race that bookmaker markets open many months before the race in April. The majority of Rosehill’s group 1 racing is in March and April, but group races are held all year round and punters will always get a good opportunity to punt at Rosehill. 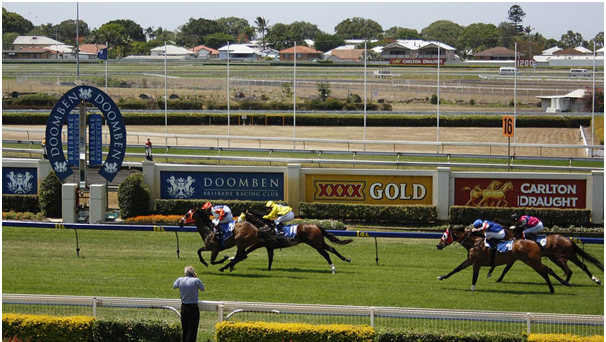 Doomben race track located in Brisbane is the best and popular race track which in May month hosts an incredible 12 group races and three group 1’s. 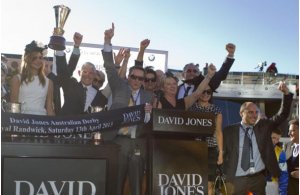 The Doomben Cup, Doomben 10,000 and BTC Cup are all held throughout May and the likes of Black Caviar have graced the winners enclosure in recent years. The 1715-metre track is most popular in May during the Brisbane winter carnival and trainers from all over Australasia target the carnival. It is common for New Zealand runners to come over and contest the big races due to the similar nature of track conditions. Located in Perth, Western Australia, Ascot is the main race track on the western border of Australia and they race their most weeks. Their biggest carnival is held just after the Melbourne Spring carnival and it includes three Group 1 races; Winterbottom Stakes, Railway Stakes and the Kingston Town Stakes. Perth racing is best known for their sprinters and punters prepare betting on sprinting races as opposed to the longer staying events. Ballarat Racecourse is situated on 300 hectares of land 15 kilometres north-west of Ballarat’s CBD. Ballarat Racecourse has been at this site in Dowling Forest since 1972 and is now home to one of the major thoroughbred training centres in Victoria. The Racecourse is operated by the Ballarat Turf Club which was formed in 1854. Ballarat Racecourse is one of the premier provincial tracks in Victoria, with the track holding more than 32 race days each season. This is the largest amount of meets on any grass track in regional Victoria. The track is also home to many midweek races at different times throughout the year. 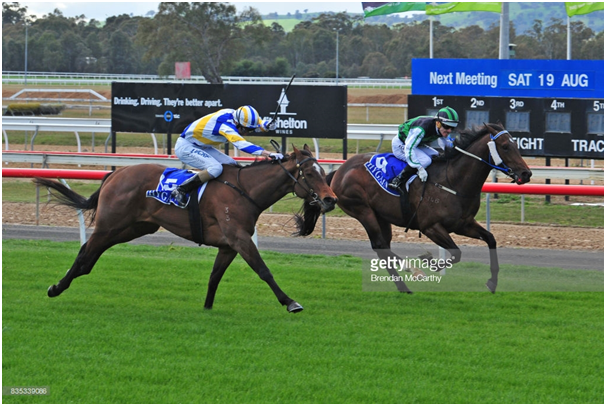 Ballarat Racecourse’s main race day is the Ballarat Cup which is run in November each year. The Ballarat Cup is the final main event in the Victorian Spring Racing Carnival. The Ballarat Cup is a listed open handicap that is run over a distance of 2,200 metres and is worth $130,000 in prize money. 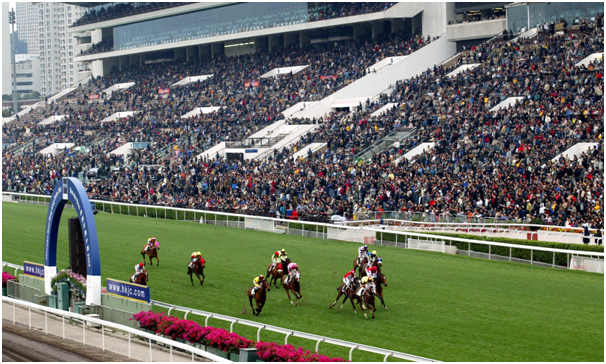 The race has traditionally been run on a Wednesday, but has been moved to a Sunday from 2011 in order to allow more people to attend the race day, instead of having to work. Ballarat Racecourse is not only known for its flat racing, but also its steeple and hurdles races. Ballarat Racecourse features both an old and a new track and is able to accommodate an eighteen horse field. The track has a circumference of 1900 metres and a straight that is 450 metres long. Horses run on the track in an anticlockwise direction. Mornington Racecourse is considered to be a country track in Victoria but in reality it offers the best experiences of both a metropolitan and rural track. Located just 45 minutes from Melbourne making it easily reachable for people living in the city the standard of racing is high with metro based trainers often sending their horses to Mornington and creating strong fields. Mornington Racecourse hosts 20 meetings every year under the banner of the Mornington Race Club. They endeavour to make every race day cater for a slightly different demographic meaning there will always be a day to suit every taste. That being said they also have two feature events every year which are loved by everyone. The Mornington Cup is held in February while the Gunbower Cup is held at the start of October coinciding with the AFL grand final. 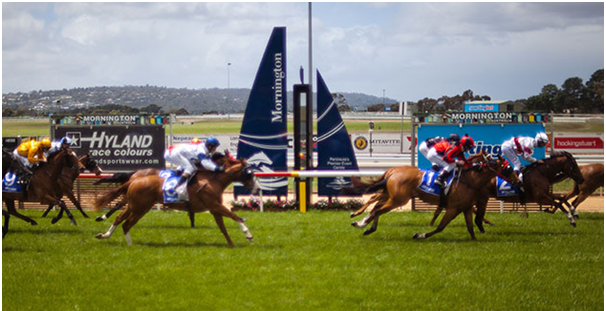 Mornington Racecourse itself is a turf circuit with a total circumference of 1800m. Seymour Racecourse is situated in the heart of Victoria Thoroughbred country and as a result they have a massive involvement in the horse racing industry. Located in town of Seymour is about 100km from Melbourne, directly north of the city centre along the Hume Highway. It’s no surprise then that the racing at Seymour Racecourse is top notch with quality fields and big representation. The Seymour Racing Club comes together around 20 times a year to host a race day and they’re hugely proud of the long tradition the club has in running successful events. You can watch the feature races, both the Seymour Cup in October and the Seymour Vase in August. The track itself measures 1800m in circumference with a home straight of 380m. Seymour Racecourse has eight different race distances starting from the 1000m right through to the 2200m. The surface is a sandy loam providing an all weather grass track all year round. The track is 20m wide catering for fields of 14 up to the 1300m and 15 beyond that. 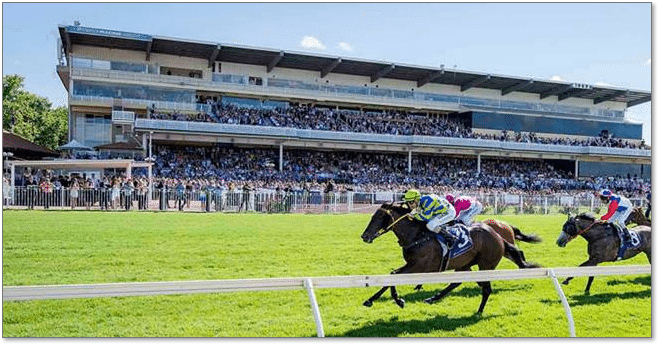 There are various other famous race tracks in Australia that offer best of horse races and sports betting to punters.